Farmers and ranchers make a living from the soil. Natural resource protection and farming are synonymous. Farm families work every day to ensure the protection of our land and water. 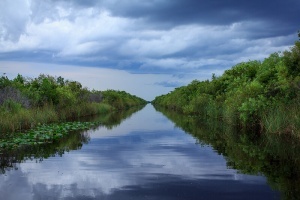 Farms in the Everglades Agricultural Area reduced phosphorus content in water leaving their acreage by 70 percent in one year. There are many factors contributing to this environmental crisis: municipal storm drains, residential and commercial runoff, septic leakage and weather events. The agricultural community continues to work with municipalities, business leaders, academia, environmental agencies, and the public to find a practical and effective solution that will benefit the residents of Martin, St. Lucie, Lee and Palm Beach counties, as well as our wildlife and natural resources. Visit http://bit.ly/FLAlgae for more information.